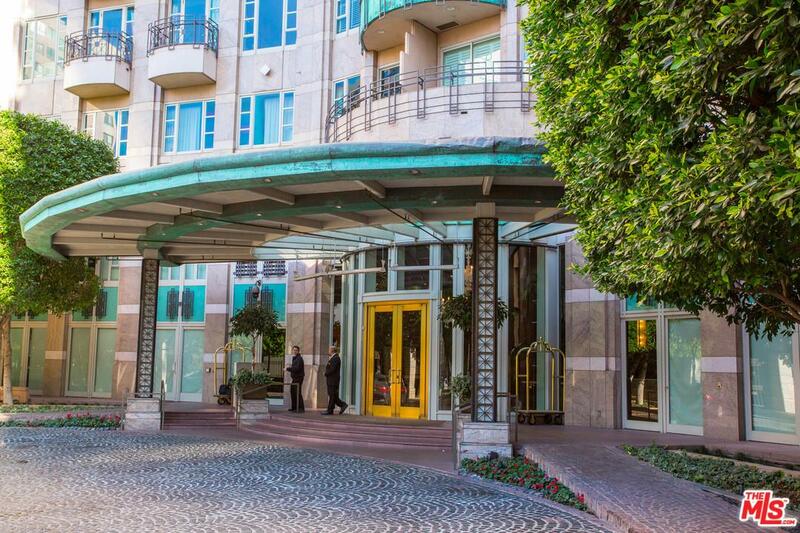 Elegant unit at The Wilshire with private direct elevator access. Enter thru a gracious foyer that leads to a spacious living room with floor to ceiling windows overlooking the greenery of Westwood and the Hills of Bel Air. Formal dining room with direct access to private patio, Gourmet Kitchen with Breakfast area includes new Sub Zero and Miele appliances and is adjacent to a walk up bar. Highly sought after 4 bedroom unit that has been converted to 3 bedrooms. Master Bedroom is nicely appointed with two walk in closets, separate stall shower/tub and double sinks. En suite secondary bedroom is generous in size and is currently being used as a den/office. The 3rd en suite bedroom is on the opposite side of the unit for privacy. The Wilshire's ultra-exclusive amenities include 24 Hour Full service, security, gym, pool, wine storage, entertainment room + serving kitchen and conference room. Close proximity to UCLA, Hammer Museum, movie theaters and restaurants!